Silk Route provides HTTP based API. The HTTP protocol's rules are followed thereby enabling simple HTTP client tools like "curl" to be used. 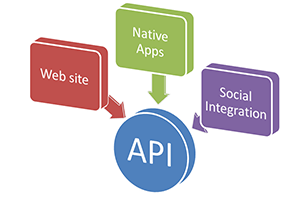 Our API is designed to have predictable, resource-oriented URLs and to use HTTP response codes to indicate API errors. We use built-in HTTP features, like HTTP authentication and HTTP verbs, which can be understood by off-the-shelf HTTP clients. In order to use the API, your network must be on the Enterprise pricing plan or a Dedicated solution. All requests require an API Key, which is a randomly generated string unique to your network. IP address making request must have been submitted to the white-list for API access. Additionally, all requests require your Network ID. Attention: The API secret key is very essential. You Should never be expose it on public website's. Your API Key and Password are used to authenticate requests through the API. Every API request must have a valid API Key and password combination. When making an API Request, use your API Key value for the NetworkToken parameter, and your Password for the password parameter. permissions Permissions variable holds array of permissions That you can to enable (1) or disable (0). Condition Array is a two dimentional array in the first index of the array is the condition ( AND / OR ). Other index is array of field name and values by which you want to filter values. If you used filecontent than it compulsory to use 'file_name' too. `file_name` variable to hold the name of file.